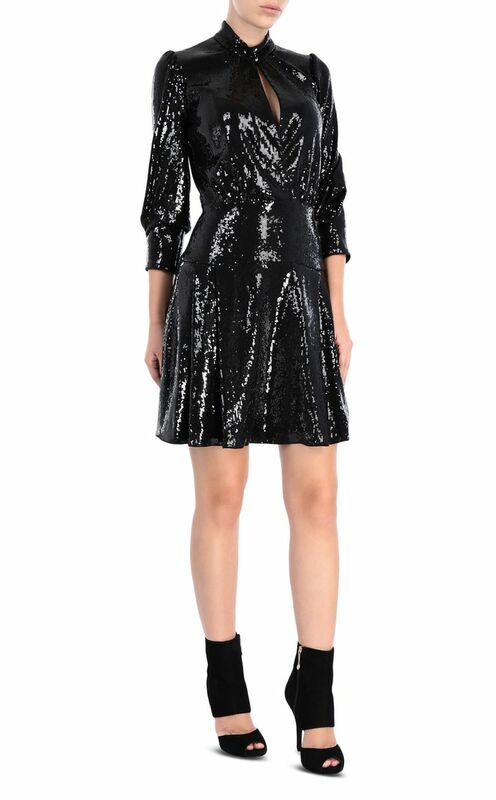 Mini dress completely covered in sequins. The mandarin collar can be fastened with concealed button detail. Featuring a slightly accented waist and three-quarter sleeves. Perfect for a party where the look is the key to success. Regular fit.